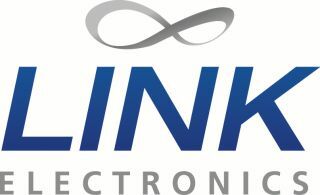 Link Electronics released the AVS-816/SA Audio and Video Switcher which allows users to switch between 16 audio and video sources. Designed with video professionals in mind, this wide band-width video vertical interval switcher processes both video and audio in the analog and digital domain. Sixteen channels of video and non-looping stereo audio offer return loss performance. An extra video output can be used for monitoring. Audio and video breakaway are selected by a single easily accessed front panel switch, with dual LEDs for source selection and follow switch indicates follow or break-away. The AVS-816/SA allows the user to efficiently and economically route or delegate multiple video and audio signals, making it ideal for TV broadcast studios, video production facilities, post-production studios, and more. Switching is accomplished during vertical interval by using the vertical sync derived from the video at the output stage. Up to 32 switchers can be controlled by the computer software, allowing greater versatility and production value. The AVS-816/SA may be controlled by a serial data feed of either RS-232 or RS-422/485 interface standards, selectable by a simple internal DIP switch. A remote-control panel is with RJ-11 modular connector and the RS-485 interface standard is available. An optional GPI interface is available for automated system applications.